Imagine a helpless, pregnant 16-year-old who's just been yanked from the serenity of her home and shoved into a dirty van. Kidnapped. Alone. Terrified. Now forget her. Picture instead a pregnant, 16-year-old, manipulative prodigy. She is shoved into a dirty van and, from the first moment of her kidnapping, feels a calm desire for two things: to save her unborn son and to exact merciless revenge. She is methodical calculating scientific in her plotting. A clinical sociopath? Leaving nothing to chance, secure in her timing and practice, she waits for the perfect moment to strike. 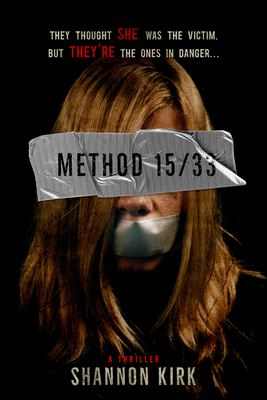 Method 15/33 is what happens when the victim is just as cold as the captors.